When assessing active fund managers we talk about investment philosophy, those guiding principles which frame the decision making process and drive the investment strategy. The football world is no different, every manager has his own philosophy, some better than others. The skill of the top managers is being able to convey that philosophy to their players, in order to win football matches and ultimately trophies. In the past, Jurgen Klopp, manager of Liverpool FC, described his football philosophy as ‘heavy metal football’. 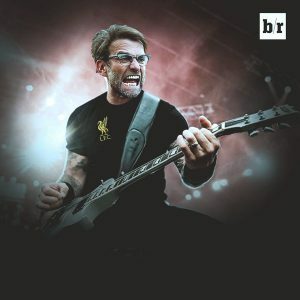 Comparing his philosophy to Arsene Wenger, Klopp once said ‘He likes having the ball, playing football, it is like an orchestra, but it is a silent song, I like heavy metal more’. (See link) Sadly for the Gooners, the silent song was met by a cacophony of boos at the Emirates yesterday, as Liverpool’s attacking rockers, including a sublime solo effort from new signing Sadio Mane, stole the show. I have already been accused of getting carried away with my comments on Liverpool winning the league. Still, Klopp’s natural enthusiasm, something which I have touched on before as a quality that differentiates the best managers (see link), makes me believe. As well, I think he has the emotional intelligence needed to keep improving. He will hopefully have learned two things from yesterday. To win the league his team needs more balance, some defenders must be signed before the end of the month. Second, the game is never over, celebrations are best left to the final whistle!